Marie Françoise Gilot is born in the first hour after midnight on November 26 in Neuilly-sur-Seine, a suburb of Paris near Bois de Boulogne. She is the only child of Emile Gilot (1889-1957), an agronomist and chemical manufacturer, and Madeleine Renoult-Gilot (1998-1985). Her paternal grandmother, Marie-Florence Vollant (1865-1943) was born in Metz, in the province of Lorraine, and raised in Paris. She was a descendent of the Collot and Leclerc families, the later owning a couturier house of fashion, which listed among its clients, Empress Eugenia, the wife of Emperor Napoleon III. Marie-Florence married Edmond Gilot (1856-1911). They owned a well-known Paris shop – a precursor to Fauchon – that specialized in imported and exotic foods. Marie-Florence and Edmond had five children, four girls and one boy, Emile, who was to become Françoise’s father. 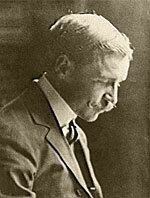 The family was affluent and Edmond had retired by age 40. Edmond Gilot went on to become an accomplished photographer, being among the first to print color photographs with the process, Lumiere. Her maternal grandfather, Francois Renoult (1857-1933), was the son of an engineer involved in the construction of the Suez Canal, who later established a coal importing business in Courbevoie, following his marriage to Anne Baud (1869-1951), a lively and vivacious woman. They had four boys and a girl, Madeleine, who was to become Françoise’s mother. Madeleine Renoult, a classical beauty, and a woman of taste, was not as interested in academic endeavors as she was in the applied arts, having studied art history, together with ceramics and watercolor painting, with Mlle. Meuge, a credentialed teacher in the Paris public school system. It was during these classes and other social functions that the Gilot and Renoult families came to know each other. 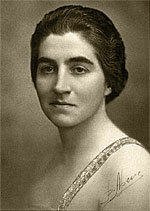 Madeleine Renoult and Emile Gilot were married in Neuilly in December 1920. 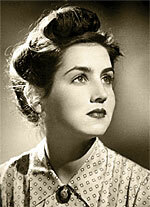 Françoise Gilot’s father, Emile, an authoritarian figure, first has her tutored at home, closely supervising her upbringing, pushing her to excel athletically and fostering her intellectual development. Although born left-handed, he insists that by age four, his daughter learn to write with her right hand, forcing Gilot to become ambidextrous. 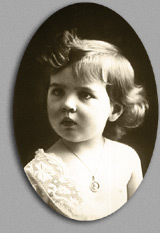 During her maternal grandmother’s annual New Year’s tea party held at her home with friends, young Françoise, now age 5, watches through the balustrade of the second floor landing as a tall man, wearing a black cape, a black suit with a white shirt and black and white polka dot tie and a black hat with a large flat brim, arrives at the party offering an oversized nosegay of purple violets as a gift for her grandmother. After the party, Françoise asks her grandmother about the impressive guest. Upon hearing that he is the painter, Emile Mairet, Françoise exclaims that she, too, will be a painter. Gilot’s mother begins tutoring Françoise in art, initially with English watercolors and India ink. Drawing with pencil is not encouraged as Madeleine Gilot believes it a deceptive medium for a beginner – if one draws with a pencil and makes a mistake one is tempted to erase the error while with ink or watercolor, one must transform the error into a deliberate element of the composition. The following year, Gilot is given a set of crayons by her maternal uncle. After more than five years of home tutoring, Gilot enters school one year advanced for her age. The Gilot family frequently spends summer holidays with distant relatives in Brittany, staying in a small fisherman’s cottage they owned in Treboul, near Douarnenez. In commemoration of her first communion, Gilot receives an oil painting by Emile Mairet that he gives her because of her preference for more melancholy gray canvases. In February, François Renoult, Gilot’s maternal grandfather, dies following a stroke. Anne Renoult elects to remain in the family house in Neuilly. Gilot begins studying with her mother’s former art teacher, Mlle. Meuge. Although she is her youngest student, Gilot quickly exhibits a remarkable propensity for draftsmanship. Her charcoal drawings and watercolors are charged with intensity and precision. She continues weekly instruction for the next six years. In February, Françoise meets Genevieve, a transfer student from Fontes, at school in Neuilly. Though Genevieve is a year and a half older, they sit next to each other in classes for the first year, remaining as schoolmates, meeting at every recess, until 1938. Images of Genevieve, a Catalan beauty with classical Greek features, immediately dominate Gilot’s drawings and sketches. Genevieve will become the most powerful and enduring leitmotif in Gilot’s career. Gilot begins to exhibit the independence of spirit and imagination that will come to characterize her both as an artist and a person. Although her father envisions her future career objectives to be that of a scientist or lawyer, she continues to find every opportunity to nurture her interest in art. During this period, frequent visits to museums in France and abroad instill in Gilot a rich appreciation and understanding of the masters. Françoise and her parents occasionally spend weekends at the country estate of long time family friend and noted Post-Impressionist etcher, Jacques Beurdeley, in Provins, about 50 miles east of Paris. During these visits to the country, Beurdeley teaches the young and enthusiastic Françoise the essential and creative aspects of etching and dry point. In the mornings, mentor and student wander into the adjacent countryside – copper plates in hand – creating etchings en plein-air. Afternoons are spent back at the studio where Françoise learns to discern the qualities of a fine original print by studying Beurdeley’s prized collection of etchings by Goya, Rembrandt, Whistler, and others. In the winter, Gilot establishes her first studio in the attic space at the home of her maternal grandmother, Anne Renoult. At the age of seventeen, Gilot completes her baccalaureat-philosophy of The University of Paris. In the fall and winter, Gilot attends the Sorbonne and the British Institute in Paris where she completes a degree in English literature from Cambridge University the following spring. During the months of May and June, Gilot’s friend from school, Genevieve - now also an aspiring artist - travels to Paris to visit with Françoise. During this summer, Gilot decides that it is time for her to expand as an artist and she purchases her first brushes, oil paints, and palette. In September, only a few days after the declaration of war, Gilot travels to the family holiday cottage in Brittany. While visiting with friends of her parents, she meets Endre Rozsda, a young Hungarian painter, for the first time. Although she goes twice during her stay to see his paintings, Rozsda takes little notice of the young Françoise. By October, Emile Gilot decrees that Françoise must focus all of her academic energies upon becoming a lawyer specializing in international law. Fearing that Paris might be bombed, Gilot is sent to Rennes, a city northwest of Paris, for her first year of law school.